Note: Due to the nature of this series, the review for Faefever has been combined with Dreamfever so the following review is also the review for that book, fourth in The Fever Series. I had a plan. It was a good plan, really. Knowing what I knew of the Fever series, I thought it was even a wise and sage plan. See, I stumbled across Darkfever (Fever Series, Book 1) not too long ago when it came up as a free Kindle download. I didn't like it. No, that's not exactly true. I thought the story was interesting and I had a very Jerry MacGuire, he-had-me-at-hello experience with the wildly wicked Jericho Z. Barrons. But....I vehemently opposed MacKayla Lane's continued existence. I hated her. Hated. Her. She was every stereotypical self-absorbed, brainless southern belle cliche rolled up into one nagging, whining and very pink ball. She was my first awful brush with a lead character that I thought was truly TSTL...and as Darkfever was my first introduction with Karen Marie Moning's work, I was certain just why Darkfever was offered to unsuspecting readers at the bargain-basement price of $0. The only reason I even pondered the second book, Bloodfever The Fever Series (A Mackayla Lane Novel), was the aforementioned Jericho Z. Barrons and the belief, judging by the Mac's narratives in Darkfever, that MacKayla Lane wasn't going to stay TSTL. And she didn't. Thank hell. To make a really long and totally boring story (mine, not Moning's) as short as I can, I ended up liking Darkfever enough to know that I would continue with this series, and paid closer attention to some of the reviews for the following books. I wouldn't say that Darkfever and Bloodfever ended on cliffhangers, exactly, but I had noticed they really didn't have an encompassing story arc that was concluded at the end of each of them. I found out why. Moning has intended from the beginning to give this story to readers in a five-book increment. 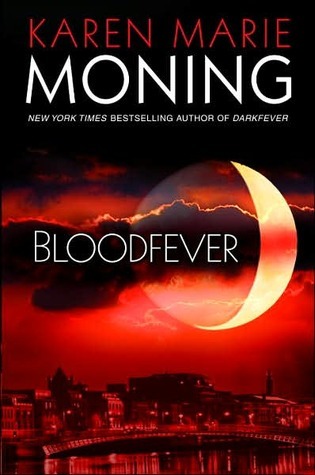 The Fever series is not like Moning's other works. They are not encapsulated stand-alone stories with a thread of over-all series arc running through them. This is, in fact, one monster epic of grand proportions - with war, death, magic, mystery, hate, betrayal, love, loss, family, friends, enemies, and all manner of frustrations and triumphs...split into five pieces. Not everybody likes that. I understand why, I really do. Spending X amount of dollars on five books to tell one story could be a bit of a put off, especially in these trying economic times. That being said...I've read four books now...the expense is totally worth it. TOTALLY. Yes, one story=five books. But each book is a masterpiece of plotting and pacing that I couldn't even see just by reading the first in the series. Like Mac, I was TSTL - with a very narrow world view - and like Mac, as each book has progressed, I've learned more and appreciated more, and come to understand just what a truly amazing gift this series is for avid readers and fans of the genre. Not everyone's going to like it - that's okay. Some people even feel really cheated out of their money. I can even understand that, though I agree with some reviewers who indicated that since it's been well elucidated by author and reviewers alike exactly how these books are set up, that starting to read it uninformed, or going into it informed and still complaining, shouldn't really result in a criticism of the author's decision to write them and publish them this way. 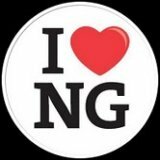 Personally, I love it. I love everything about it. I even love (though perhaps a bit wryly) those glimpses of the TSTL Mac that we occasionally see through Faefever (book 3), glimpses that seem to morph into more of a cautionary tale in Dreamfever, where Mac has been put back together (with some Jericho Z. Barrons assistance) but perhaps with too much blood under the bridge, so to speak (there's nothing as innocuous as water left in Mac's world by that point), to ever be even a shadow of her former amateur-sleuth-Barbie self. Every single one of these books are filled with a layered plot and rich, full storytelling. Complex, thoroughly original, indescribably imaginative, and driven by a cast of characters that are intensely detailed (if often inexplicable) and utterly real, the Fever series, and Dreamfever in particular, is a frustrating and fantastic delight. And that leads me right back to my good - nay - brilliant plan. Following Bloodfever, I knew I was at risk of burning through all four published books only to be left languishing for almost a year for the conclusion, so my plan was to read just a chapter or two of Faefever: The Fever Series and Dreamfever at a time, between other books. That way I could stretch out Faefever and Dreamfever for at least a few months, seriously cut down the wait time to the last book. It...really was a solid plan...a piece of cake. And that brilliant plan didn't last six chapters into Faefever. Not only did I completely blow off that other book I was reading, I hit the end of Faefever, quickly downloaded Dreamfever, and kept racing through Mac's and Jericho's world with, dare I say, fevered intensity, only to come to a screeching and scream-filled stop as the last page of the book slammed into my mind and chest with the force of a Hunter on a rampage. My plan? I still say it was brilliant, darn it. It was just...well...utterly usurped by the ever-growing intensity of Karen Marie Moning's Fever series. Ripped to shreds, really. And devoured like so much Unseelie flesh. What is truly brilliant is Dreamfever and the Fever series in total. Amazing. Really.